p- Amazon, & Book Depository. 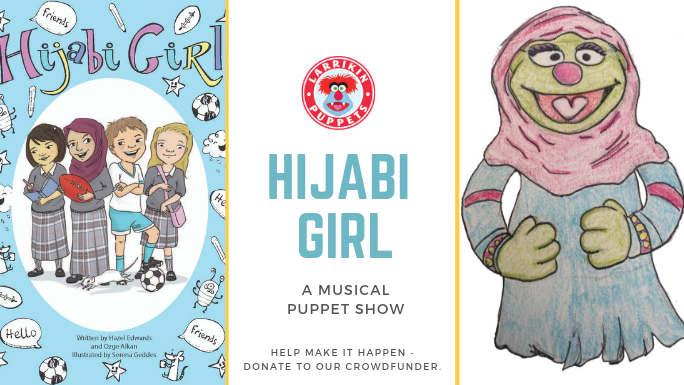 Larrikin Puppeteers seeking support with developing their 'Hijabi Girl' Musical puppets.You can contribute. 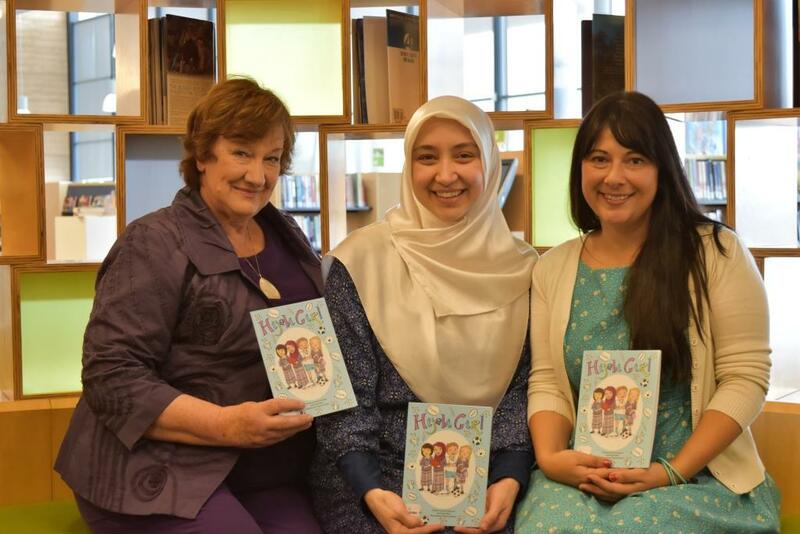 World premiere of 'Hijabi Girl' classroom script performed at Watsonia Heights Primary. Hazel Edwards was there too. 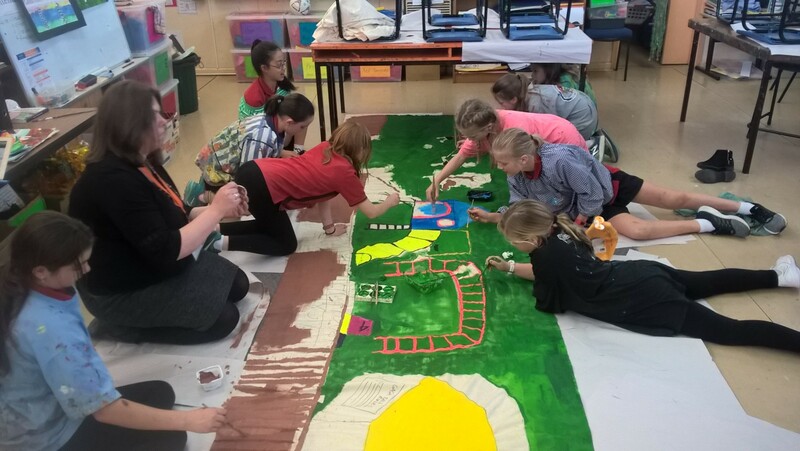 Watsonia Heights crew painting 'Hijabi Girl' backdrop for premiere. London Post Educator Rob Kelly writes about the educational relevance and how 'Hijabi Girl' was created across cultures. Also The Hijabi Girl Challenge in the international DebateReport. Ozge Alkan is a qualified children's librarian.This is her first book. Aware of the cultural challenges, Hazel suggested Ozge wrote it. Ozge suggested they co-wrote. So they did. At Craigieburn Library April 20th, ALL books were sold and autographed. * Respect for other cultures and overcoming FEAR of the unknown. * Making friends even when different. * Skills and confidence via sport. 8 year old Melek always finds answers. Some are under her super hijab. For others she needs the help of newcomer Tien who draws fantastic worlds as an escape, dress-ups-guru Lily or even soccer-mad Zac who NEVER agrees with her. Melek wants to start her own Aussie Rules girls' football team. Unable to find a book character in a hijab for the Book Parade, Melek writes her own, with illustrations by awesome Tien. 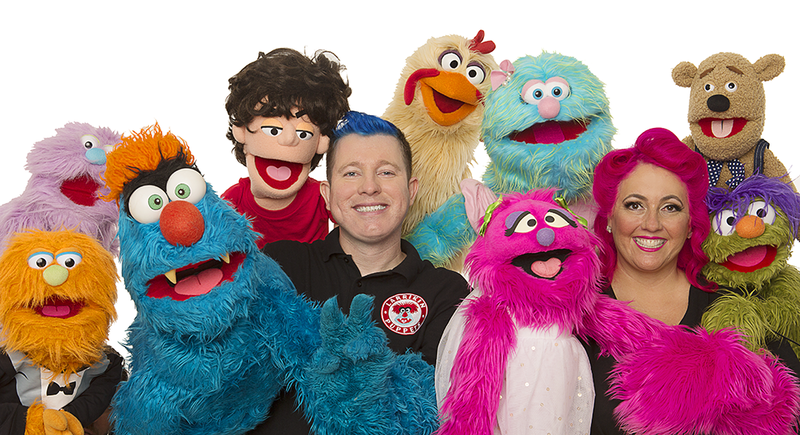 Their classroom has Fab Science projects,a Rainbow Reading Chair and a Corridor of Characters. Plus Zac's Reading Rat. Melek solves all problems, even rescuing Zac in the pool. And luckily her fashionista mother designs club colour-coded hijabs for footy fans. Performance Script Hijabi Girl.pdf Useful in Book Week & for Character Parades. 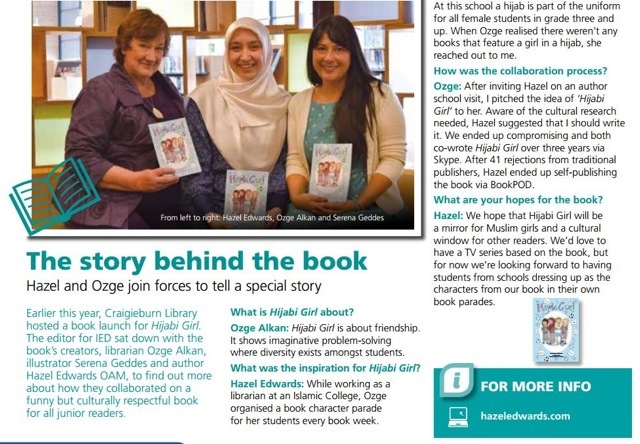 Co-authors of 'Hijabi Girl' Hazel Edwards, Ozge Alkan & illustrator Serena Geddes. Positive depictions of families, friends and other cultures. Many schools hold Book Parades. 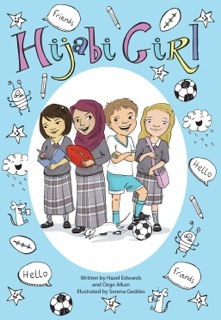 Read prior to your Book Week Parade and dress up as characters from 'Hijabi Girl'. Then fiction becomes real. * Hazel's earlier chapter book 'Misfit' about being different in a religious school makes a contrasting study. 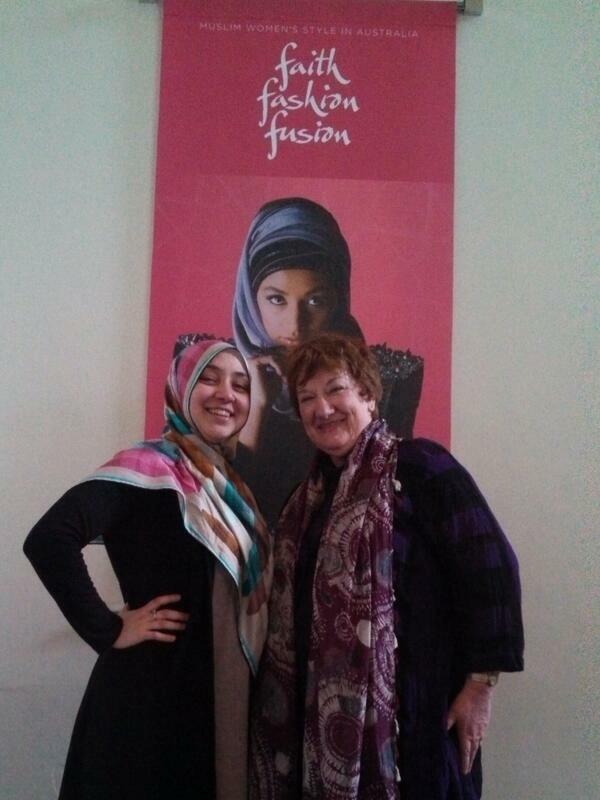 Crystal, a girl who isn't Jewish in a Jewish school, contrasts with Melek, our hijabi girl who is in a mainstream school. Crystal's sport is hockey. * If you look through a 'crystal' there are many facets. Now available as Kindle e-book here. Researching at Street Iftar & Illustrator Serena Geddes. 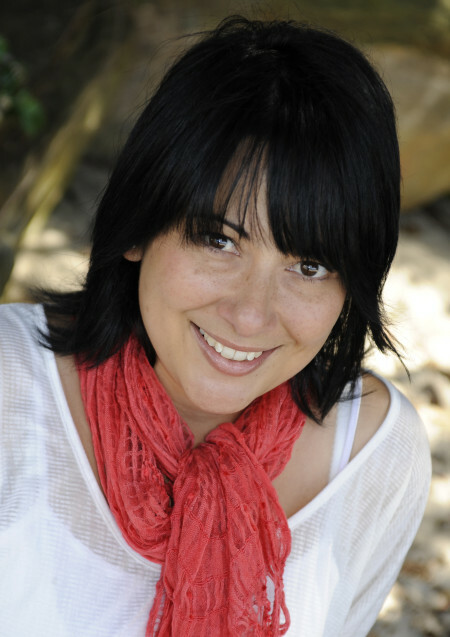 Illustrator Serena Geddesis best known for illustrating the Lulu Bell series and earlier worked for Walt Disney Australia..
kidsbook review .pdf... by Coral Vass ...a refreshing look at diverse mix of cultures. Good Reads. '. ' All the differences make no difference'.pdf..' Joanna's review. 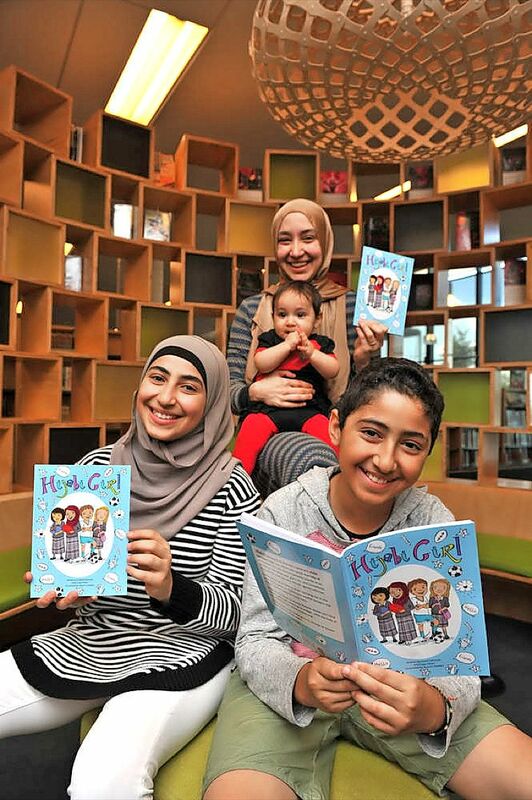 Reading Time.pdf (The Children's Book Council of Aust) ...gives hijab-wearing students a go-to costume for Book Week. Cross-cultural Trio autographing at Dymocks Camberwell Xmas event. 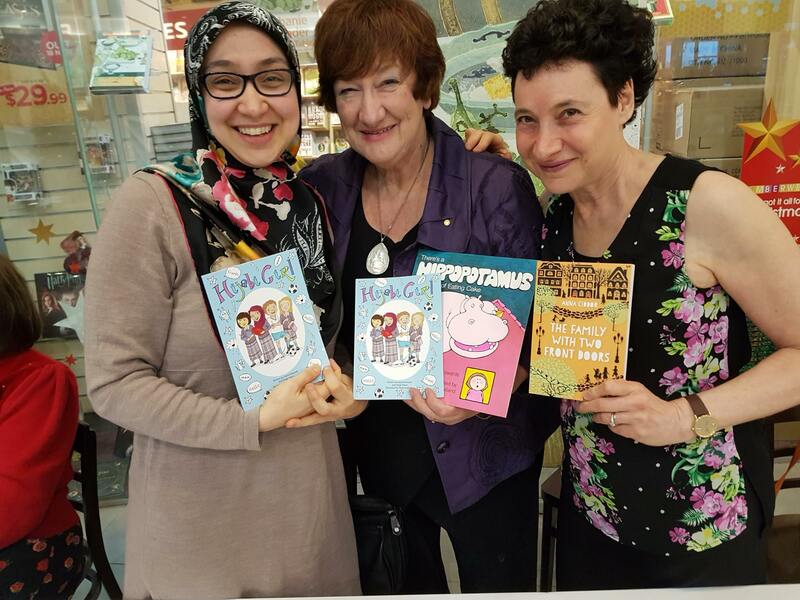 'Hijabi Girl' co-author Ozge Alkan & Anna Ciddor's 'The Family With Two Front Doors' about a Polish Jewish family. Australian Society of Authors Collaboration across cultures.